Actually, this really might be the biggest trade in history, at least looking at the dollar amounts involved. I think the Red Sox fleeced the Dodgers into buying in to the biggest salary dump in sports history. Get this, the Red Sox just unloaded $260 million worth of contracts on the Dodgers, basically in exchange for two hot pitching prospects. My take on it, the Dodgers got swindled here and will live to regret this trade. They are saddled with $31 million for the next two years to Josh Beckett, who has always been maddeningly inconsistent, never stays healthy and is 5-11 this year with an ERA of 5.23. The Dodgers get Carl Crawford, who is owed $100 million over the next five years, never did anything in two years in Boston and just had elbow tendon replacement surgery and may not play next year until June or July. They get Adrian Gonzalez, which was a bit of a bummer. But, truth be told, Gonzalez was a *bit* of a letdown in Boston … a bit. He was definitely not putting up big power numbers, at least not the numbers Boston expected. Gonzalez this year was on pace for only 20 or 21 home runs this year after only 27 last year. His OPS this year was only .812 and his slugging percentage was .469 — those are NOT $21 million a year numbers. He averaged 34 home runs a year for four years in San Diego, and that is a pitcher-friendly park. Truth be told, he had a big drop-off in power in Boston (his batting average was a solid .321, but BA is an overrated statistic.). This year alone, the Dodgers just got saddled with $56 million in salary for these three guys. The Red Sox just dumped about 1/3 of their payroll. If they can find a way to get rid of the dead weight of John Lackey ($18 million a year, geesh! ), that could open up all kinds of possibilities. I think it became time for the Red Sox to retool. What they were doing wasn’t working. They had the third-highest payroll in baseball and had a losing record, after missing the postseason with the second-highest payroll the previous two years. They have offence, but their pitching is terrible, and they lose too many games 9-8 (in fact, the other night, they lost a game 13-12). Beckett was a big part of that problem (as is Lackey and Dice-K). Too much money for crappy, injured pitchers. Just proves to me that it’s a mistake to throw a ton of longterm money at free agent pitchers. Look at Philadelphia and Cliff Lee and Roy Halladay. People rail about the Red Sox and their money, but truth be told, they have a long history of splurging a lot of money on bad free agents — other than Curt Schilling and Manny Ramirez, can you name one Red Sox free agent who was really worth it? 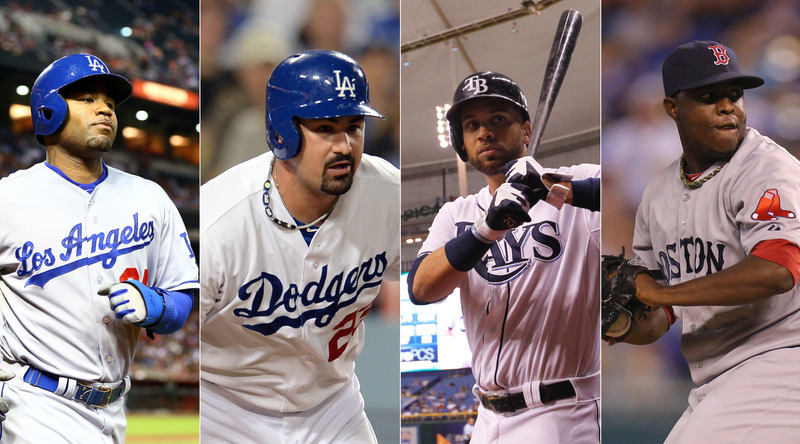 They have a long and sordid history of terrible signings — Dice-K, Matt Clements, Julio Lugo, J.D. Drew, John Lackey and many more. Meanwhile, the Dodgers have new, aggressive ownership and are looking to make a big splash. Good luck to them. Gonzalez may work out great for them, but they are going to regret being saddled with Crawford and Beckett’s contracts, I guarantee it. I think what the trade turned into was the Red Sox were in disbelief that the Dodgers were willing to take the terrible Beckett and Crawford contracts off their hands … and that all they had to give up was Gonzalez and his fat $21 million to get rid of that other $35 million of dead money. The Red Sox get two solid (and cheap) pitching prospects — Rubby De La Rosa (who will pitch right away) and Allen Webster, who will probably stay in the minors this year. They also get a schmoe, James Loney, but that’s just to fill Gonzalez’s roster spot. The Red Sox desperately need to fix their pitching (23rd in ERA), did not do it in the off-season, and this is hopefully step one in getting a decent staff put back together again. The Red Sox also free up a ton of money to re-sign free agents Jacoby Ellsbury and David Ortiz, or possibly go after Josh Hamilton. Hamilton would like command a deal similar to Pujols — something on the order of $250 million over eight years. If the Red Sox get rid of Bobby Valentine, almost guaranteed, there might be hope yet for them to pull out of this tailspin next year. Here’s my view on Lance being stripped of his seven Tour de France titles. It was a witch hunt. Absolutely. There were people who have been determined to nail him for 12-13 years. And … he was almost assuredly a doper. What’s the most damning evidence against him? EVERYONE doped 10-12 years ago. EVERYONE. Almost every single elite rider from that decade has been busted. I believe Lance essentially pled “no contest” to the U.S. Anti-Doping Association because they had a whole bunch of his ex-teammates lined up to testify against him. They not only had Tyler Hamilton and Floyd Landis (a pair of dopers and chronic liars), but they also had George Hincapie and Levi Leipheimer and six other former teammates. All these former teammates were going to testify at Lance’s arbitration hearing that they had seen him dope. I think Lance knew he was going to be smeared through the mud and simply didn’t want anything to do with the spectacle. USADA, which announced its investigation in June, said its evidence came from more than a dozen witnesses “who agreed to testify and provide evidence about their first-hand experience and/or knowledge of the doping activity of those involved in the USPS conspiracy,” a reference to Armstrong’s former U.S. Postal Service cycling team. The unidentified witnesses said they knew or had been told by Armstrong himself that he had “used EPO, blood transfusions, testosterone and cortisone” from before 1998 through 2005, and that he had previously used EPO, testosterone and Human Growth Hormone through 1996, USADA said. 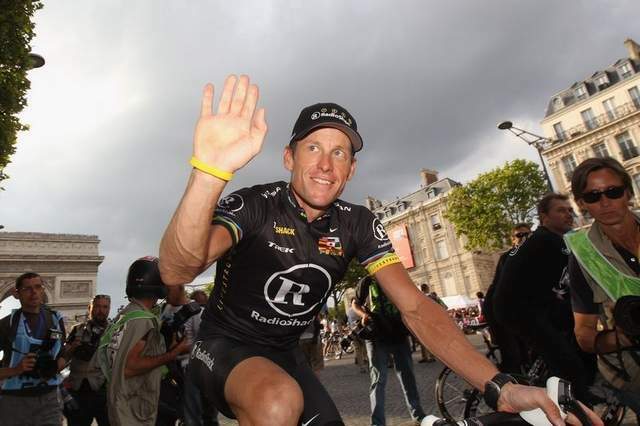 Armstrong also allegedly handed out doping products and encouraged banned methods — and even used “blood manipulation including EPO or blood transfusions” during his 2009 comeback race on the Tour. It became harder for me to believe Lance had been clean when so many cyclists from his era were busted. Damning was how many of his former teammates got busted for doping — Hamilton, Landis, Alberto Contador and Roberto Heras among them. More damning evidence: Lance just didn’t win the Tour de France. He shredded it; he dominated it, for most of those seven tours. And look at his main rivals during that era — Marco Pantini, Jan Ullrich, Ivan Basso, Francisco Mancebo, Alexandre Vinokourov, Allesandro Valverde, Michael Rasmussen, Iban Mayo, and Heras and Hamilton. ALL OF THEM were busted for doping, either by testing positive or their names coming up in the Operacion Puerto case (or in the case of Rasmussen, vanishing for months so he couldn’t be tested). These were all the elite riders of the early 2000s, and all guys that Lance just didn’t beat, but destroy. No, that’s stretching the suspension of disbelief too far for me. He could not have beat all these dirty riders clean. I don’t believe that’s possible. To me a better question was did Lance have an unfair advantage over the other riders? No, I don’t think he did, because they were all dirty. They were all riding on a level playing field. I don’t blame the USADA for wiping out his tour wins. In fact, the entire decade of 2000-2010 should probably be expunged from the cycling record books. I think Lance took a calculated risk that his fans have “steroids fatigue” and don’t care anymore, which I think to a large degree is true. So many athletes have been busted for doping during the last 15 years that people can’t work up any outrage about it anymore. I guess my attitude is everyone did it, in multiple sports and it doesn’t do a lot of good to dwell on who cheated 10 or 15 years ago, but that being said, records from that era shouldn’t count. So perhaps the Tour de France titles should simply be vacated from that decade, while Bonds and others don’t get to keep their records. Henry Aaron should be the home run champion — until Pujols breaks it (… and Pujols has never been 100 percent in the clear in my mind as far as doping, but I admit there is no proof), and Maris should be the single-season record holder.